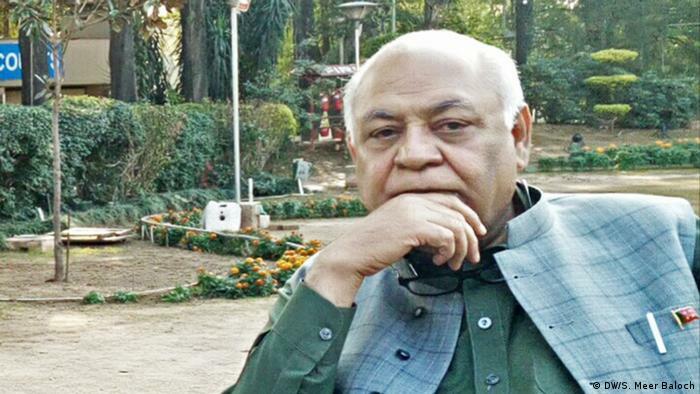 In an interview with DW, Pakistan's minister for ports and shipping, Hasil Bizenjo, talks about the China-Pakistan Economic Corridor (CPEC) project and the "necessity" of civilian supremacy for its success. DW: You said in a recent statement that NATO had shown interest in using Pakistan's Gwadar port for its Afghanistan operations. How did that come about? Hasil Bizenjo: Recently, we organized a conference in Karachi, inviting businessmen, importers and exporters, as well as a NATO contractor. There we discussed the Afghan transit issue also. The contractor requested us to allow NATO shipments to Afghanistanthrough Gwadar. We studied the proposal but eventually turned it down. What was the reason behind that decision? US-Pakistan ties are going through a bad phase right now. We cannot allow it at the moment. Is China also against the NATO proposal? Beijing has nothing to do with it; the US attitude is responsible for it. Having said that, it is likely that with the improvement in US-Pakistan relations, our government could reevaluate the NATO request in the future. 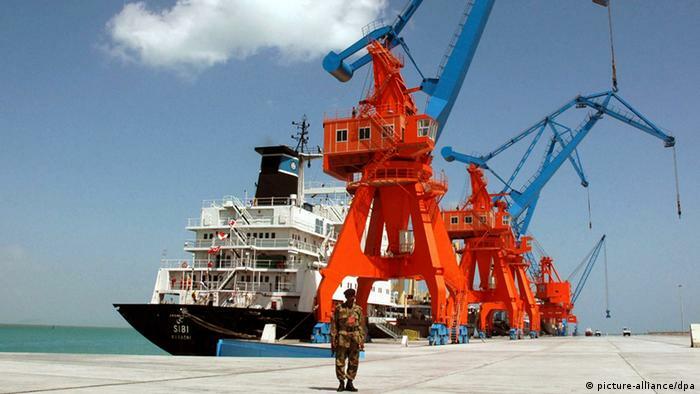 The Gwadar port is a vital part of China's multibillion-dollar CPEC project. Do you think that the Iran-India Chabahar port project could diminish Gwadar's significance in the region? The construction of one port never negatively impacts the construction of another port. There are many ports in a small place like Dubai. Hundreds of ports are functioning smoothly in India. Also, Chabahar cannot challenge Gwadar because the latter is nearer to Afghanistan. Therefore, the Gwadar port will not be affected by Chabahar. Baluchistan's separatist groups, and also some political analysts, say that China, through CPEC, is turning Pakistan into its economic colony. They also say that Gwadar's local population is being neglected in CPEC-related jobs. How will you respond to this criticism? The Gwadar port is still in its initial construction phase. There is still no big industry in the city. We can only gauge the impact of the project once it will be completed. But I am sure locals will hugely benefit from the project because China can never bring a big workforce to the area. China can only get some engineers and technical staff for supervision in certain areas of the project. There are only Baloch populations living in and around Gwadar, and the Baloch people will ultimately be the beneficiaries. Last year, some media reports claimed that China was building a military base in Gwadar. China's foreign ministry swiftly denied those reports. How did those claims originate? I believe the Indian lobby in the West spreads these kinds of lies. The question is that why would Beijing even think of establishing a military base in Gwadar? A military installation in the area would mean that China would want to get into a direct conflict with regional and international powers. And Pakistan is also not in a position to become part of it. You're a veteran Baloch politician and an ally of former Prime Minister Nawaz Sharif, who was ousted by the Supreme Court in July last year on corruption allegations. 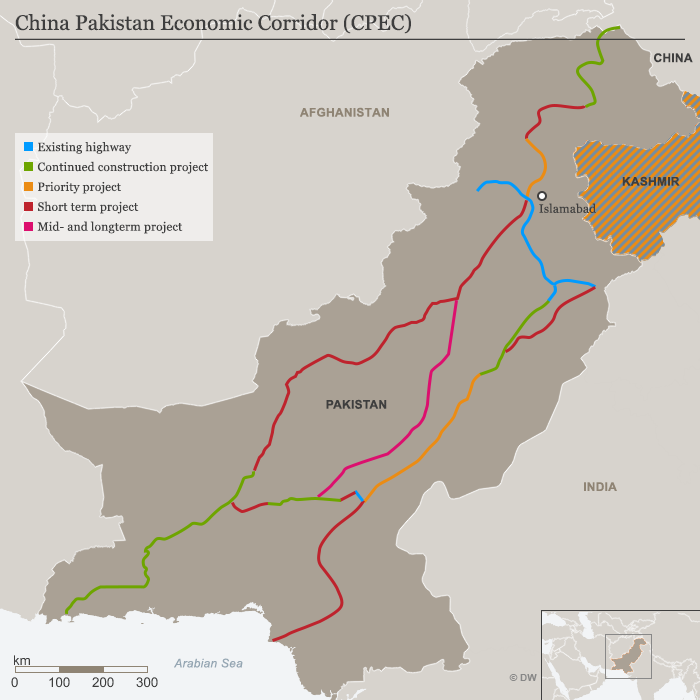 How did Sharif's dismissal impact CPEC's implementation? Democracy and development can't be divorced. There are some elements in Pakistan who want to derail the democratic set up in the country and replace it with technocracy or presidency. But these forces will never succeed in their plans. The general elections will be held on time this year and there will be a new government. Nawaz Sharif is a popular leader and many media groups have claimed that his Muslim League party will likely win the vote again. The supremacy of the civilian rule in Pakistan is necessary to carry forward the country's development projects. Pakistan cannot go against international trends. All regional countries, including India, are following the economic development path. And the good thing is that Punjab, which has the biggest political clout in the country, has also joined this struggle for parliamentary supremacy and politics of development in the shape of former PM Sharif. I'm very optimistic about the future of democracy in Pakistan. Mir Hasil Khan Bizenjo is the minister for ports and shipping in Pakistan. He hails from the Baluchistan province and heads the National Party, which demands greater rights for the Baloch people within the framework of constitutional democracy.